don’t be too mad, it’s instinctual…. &he looks awfully sorry! Terriers and small fluffies…we have the same problem but not just with cats. They’re never sorry. 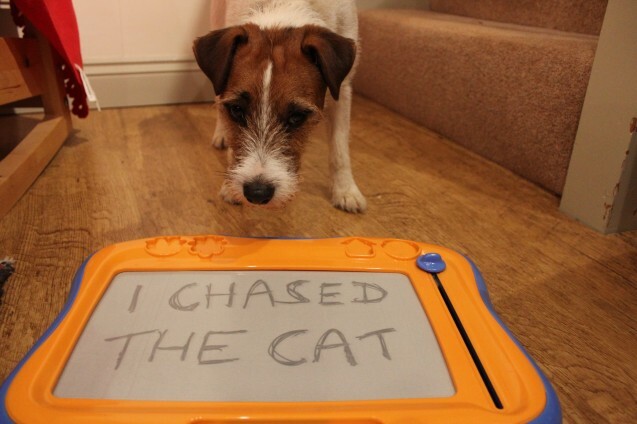 What were going to do if, you did catch the darn cat ?